It’s graduation time, which means that the real world beckons for college seniors. While some have landed their first jobs, others continue to update resumes, research job openings and head out on interviews. We recently filled an entry-level position, which doesn’t help those of you still looking. But the experience and our feedback just may. We met a lot of qualified candidates, those with the right degree, required skills and internship experience. What most intrigued us, though, were those who found a way to stand out. Following are a few tips on how to stand out during all stages of your search for a PR job. BE SOCIAL. Today’s graduates are the most technologically savvy, with social media rooted in every part of their communication. Make sure to use tools like Facebook, Twitter and LinkedIn to promote yourself and your skills. It can be a great way to differentiate and show creativity. Write a blog, and put it on your resume. Show us your influence on Twitter, including conversations with journalists and others in the industry. If you haven’t handled social media during an internship, volunteer to do it at a nonprofit or start-up. 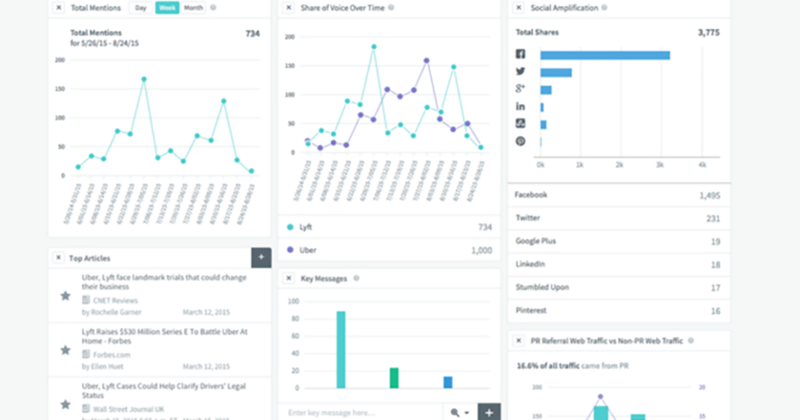 And if you’ve had experience monitoring and analyzing social channels, make that very clear. Social media is integrated in to everything an agency does, so show that you know how to use those tools. WRITE, WRITE AND WRITE SOME MORE. There’s incredible value in strong – and accurate – writing, whether it’s a press release, email communication or a 140-character response. You’ll have a few chances to show these skills during the application process, so make the most of them. If you aren’t an editor by nature, ask a trusted friend to review your work. Even small mistakes and typos will reflect poorly. These not only test your command of the language, but also your attention to detail, creativity and how your mind works. All of this will provide a snapshot of what you can do, and what you can do under a little bit of pressure. STAND OUT FROM THE CROWD. Interviews can be stressful, but they’re also a tremendous opportunity to stand out from the crowd. We want to know that you have the skills, but we also want to know that you have the right chemistry. Make it clear that you’re the right fit. Show that you’ve done your homework, that you have a real understanding of the agency and its people. Make a connection with each member of the team. One candidate stood out because a conversation that started about one of our clients turned in to a 10-minute discussion of the NBA playoffs. It may not have been job related, but his personality and passion was clear. Don’t just answer questions. Ask your own. It’s your chance to learn about the company and the people, and whether it’s the right place for you. Show enthusiasm. One of the candidates who brought in a portfolio showed true enthusiasm and passion as she flipped through, showing some of the energy we sought. Especially in an entry-level candidate, it’s not all about experience but the attitude you’ll bring to the team, company and clients. A job search can be grueling, so I wish all new college grads the best of luck. As much as you want that first job, the right job should be just as much about being a good fit for you as it is for the company. Just be yourself and remember that the skills you show in the interview process are the same skills that will make you successful in PR.